I don’t count lip brushes because…. come on! They’re so tiny, how much can it cost to make one?! Plus their job is really very non-brainer, I can technically use my fingers for the same job. Long ramble aside: If you have exactly 0 brushes, or only using those nasty cheap free brushes, this is the one brush that will make your life just a little bit more awesome. I bought this at a wholesale supermarket place. If you’re in Singapore, it’s at Lorong 19 Geylang, called UK Fish Village. It’s freaking awesome, and it sells 15kg bag of onions at $15. Apart from the usual supermarkety stuff it also has a small beauty section, where it sells Silky Girl cosmetics (at no reduction from retail price, sadly) and an unbranded beauty tools section. 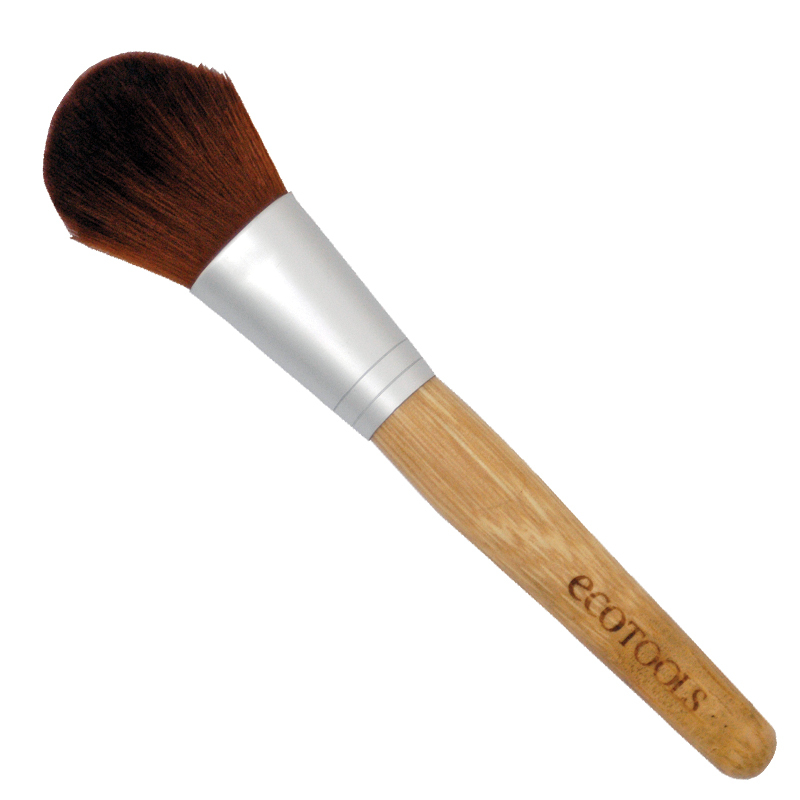 I’ve bought mini shavers from there, but I’ve always been eyeing this Ecotools blush brush they had. They sell it for $6.99 SGD. That’s cheaper than the official retail price of $6.99 USD!!!! All the signs of it being completely authentic are there! 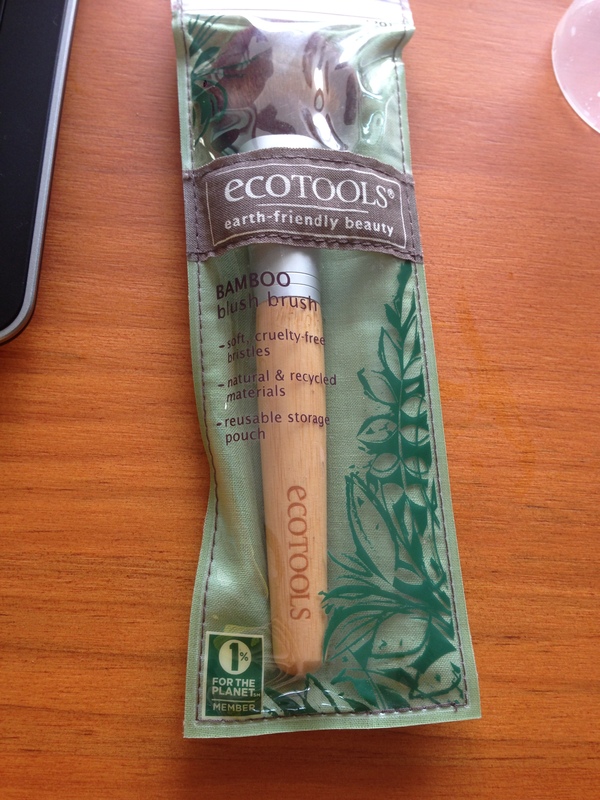 Frankly speaking my brush’s shape is really weird, you can see the bristles flare out more than the stock picture, and the cover was very dusty: I think it has been there awhile and it wasn’t stocked anymore cos most people who frequent there (migrant workers, actually) probably don’t have a clue what ecotools is. They seemed to have revamped the design, the review I could find of this design was way back from 2009. The new design is much swankier, and I presume the bristles remain similar. The shape however, has changed a little bit. 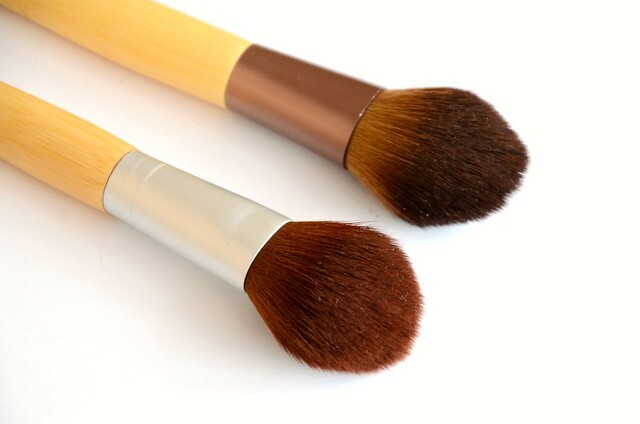 I’m not sure that this greatly affects the performance: I was never a brush snob. 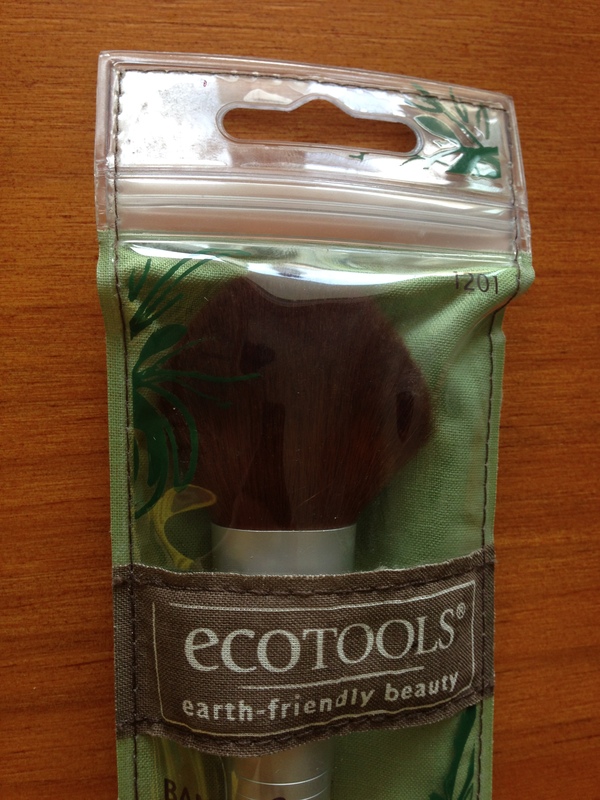 I always thought the original Ecotools look cheap, and I’m glad for the new design, it looks SO much better, like the superb quality brush it actually is! And the BRISTLES. They are like the SOFTEST THING I HAVE EVER TOUCHED. Okay, I haven’t molested really top-end animal brushes like Hakuhodo before, but these are MUCH softer than my (already soft) Real Techniques brushes. If RT was like stroking your cat, this is like stroking a tiny kitten belly. I know it looks un-soft!!!! That’s what I hate about the look and the packaging. Trust me it’s SUPER SOFT. It’s fluffy, domed, and not flat, and picks up colour really well. It’s dense, well sized, and not super floppy, just enough to give you good control. It picks up powder well: I went heavy handed with my Sleek blush (one of the most pigmented blushes out there) and it went practically opaque on my face. I don’t think you can buy this specific one anymore, since it’s so old, but I have no doubts that the new designs are of comparable quality. 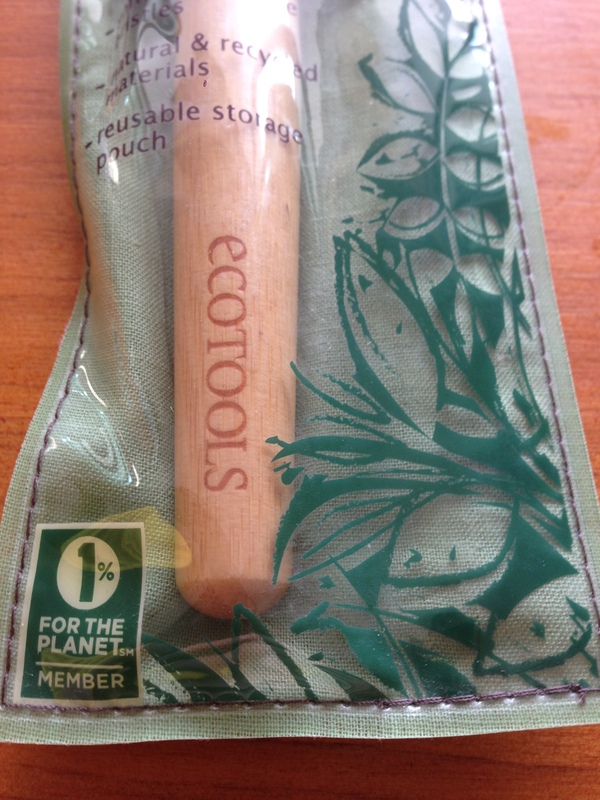 I’ve always passed up ecotools because the bristles looked scratchy, but the universal praise for it is that it is SO SOFT. 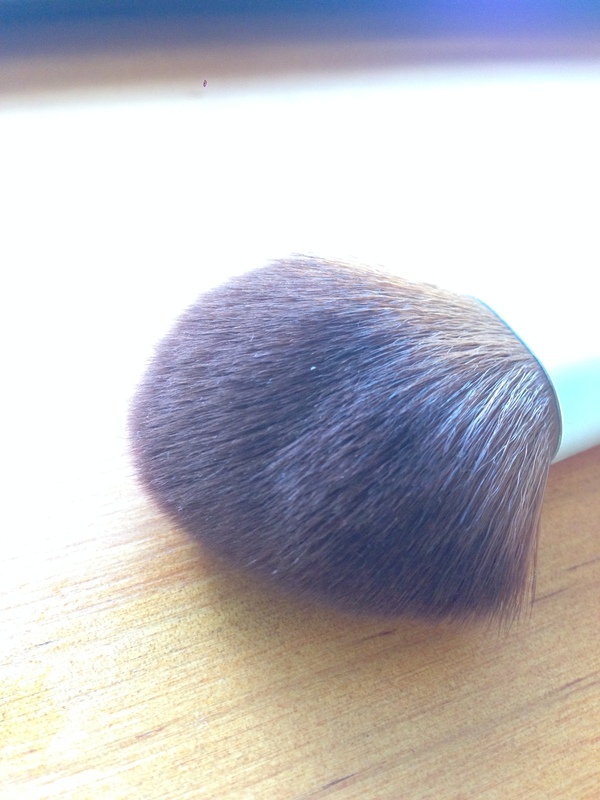 While that may not be always ideal for eye brushes, for face brushes, it is perfect. 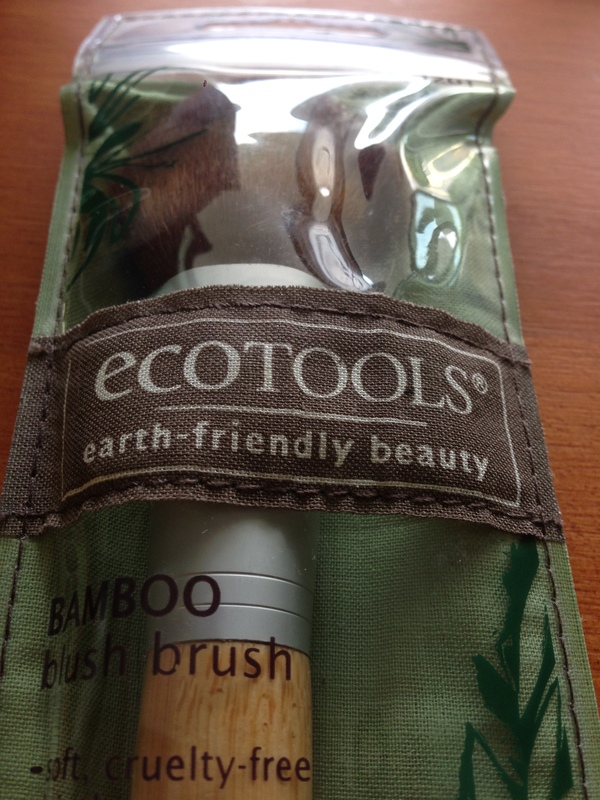 For the price, this beats many, many higher end, branded brushes. Definitely at least try one out! Shopback: Ebates equivalent in Singapore!! !